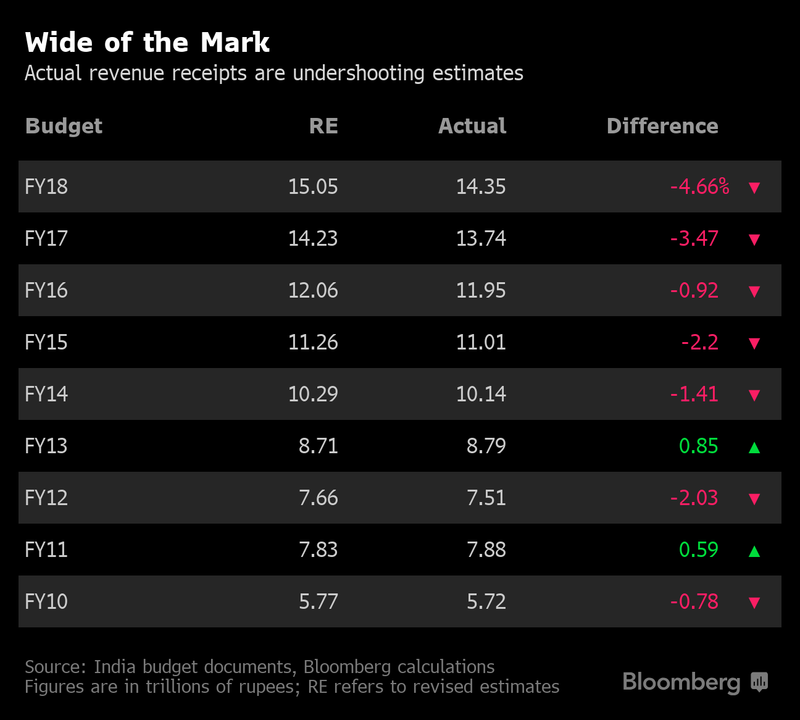 India is set to miss budget deficit target for a second straight year by overestimating the income it expects to receive from taxes, asset sales and other sources. 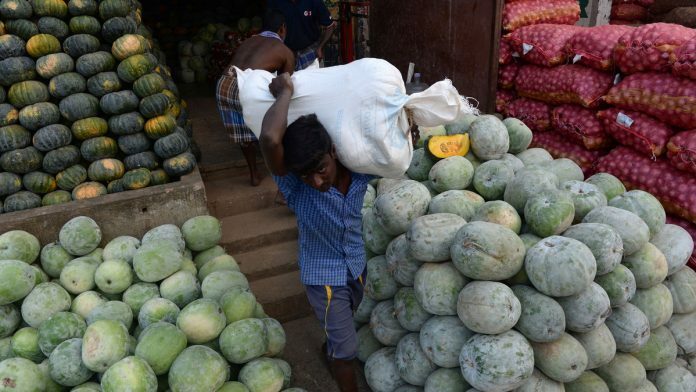 New Delhi: India’s budgets show the government’s been fixing unrealistic revenue targets, and in the process setting itself up for falling short of fiscal deficit goals. While the government has estimated 19.8 trillion rupees ($280 billion) as revenue receipts for the year starting April, history shows it’s missed income targets in each of the past five fiscal years. The risk of trailing behind goals is a budget deficit that could be wider than the 3.4 per cent it estimates for both the current financial year ending March as well as the next. While receipts in the 12 months through March 2018 were 4.7 percent lower than initially projected, the government is already lagging behind on its revenue collections target in the current financial year. It budgeted 17.3 trillion rupees, but has mustered only 10.8 trillion rupees, or 63 percent of the target, in first nine months of the year.